This week offers a Spielberg throwback double whammy, with the great Raiders of the Lost Ark screening on Friday and Sunday, preceded by the less-than-great Jurassic Park on Wednesday. The Atlantic Film Festival’s family-friendly summer outdoor screening series continues this Friday outside at Grand Parade with Wes Anderson’s adaptation of Roald Dahl’s classic children’s novel Fantastic Mr. Fox, and also on Saturday at the Pondside Amphitheatre in Dartmouth Crossing with a singalong (lyrics on screen) screening of Frozen. Wednesday (Aug 3) — Jurassic Park, Cineplex Park Lane, 9:25pm, $6.99. Steven Spielberg, USA, 1993, 127 minutes. Friday (Aug 5) — Fantastic Mr. Fox, Grand Parade, 9:10ish, doors open at 8:10pm, free. Wes Anderson, USA, 2009, 87 minutes. 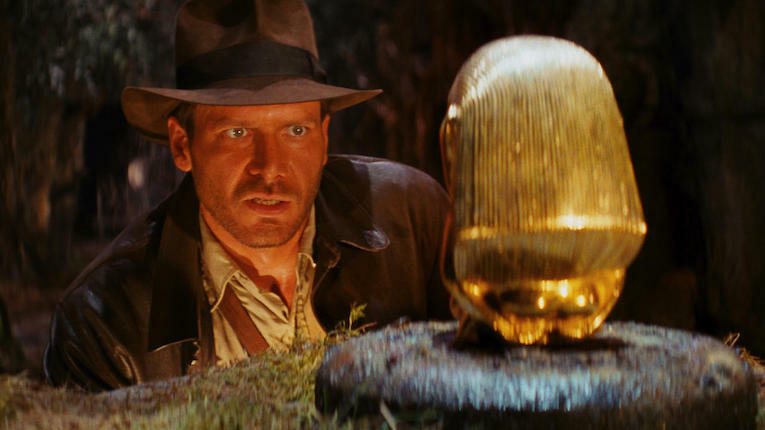 — Raiders of the Lost Ark, Cineplex Park Lane, 9:30pm, $6.99. Steven Spielberg, USA, 1981, 115 minutes. Saturday (Aug 6) — Frozen, Pondside Amphitheatre (Dartmouth Crossing), 9:10ish, doors open at 8:10pm, free. Chris Buck & Jennifer Lee, USA, 2013, 107 minutes. Sunday (Aug 7) — Raiders of the Lost Ark, Cineplex Park Lane & Dartmouth Crossing, 12:55pm, $6.99. Steven Spielberg, USA, 1981, 115 minutes.